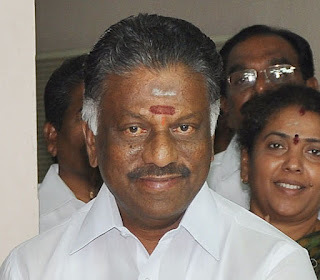 O Panneerselvam (also known as OPS) was stand-in chief minister of Tamil Nadu twice when Dr. J Jayalalithaa was not allowed to hold public office because of litigations against her. He was sworn in as the Chief Minister on 6th December when Jayalalithaa died on 5th December 2016 after a major cardiac arrest. Later, he tendered his resignation for the third time from the post of Chief Minister citing personal reasons paving way for Sasikala Natarajan. Whereas, on 7th February 2017 he took Tamil Nadu’s political spectrum in a storm when he declared on Marina Beach that he had been forced to resign by a section of AIADMK. He further stated that they want Jayalalithaa’s close aide and party’s general secretary, Sasikala Natarajan to become the Chief Minister. In a quick response, Sasikala expelled OPS from the post of treasurer of AIADMK. H-1B Visa: How the proposed changes can affect Indians? It is not going to be a great time for Non-Americans in Trump ruled America! The new bill H-1B visa could seriously affect the exporters of IT workforce to The United States, wherein India is the leading IT exporter followed by China. The big Indian IT companies enjoy significant cost reductions by sending their employees to the US, but not anymore! The new bill proposes a change in the minimum salary cap from $60000 to $1,30,000 which hugely hits the IT firms in India. H-1B Visa: What is it? H-1B visa belongs to the non-immigrant category of visa that is issued for temporary workers based on their employment. The employer provides the job to the person and also apply for the visa process with the US Immigration Department.